April | 2013 | Om nom nom! After not-so-fun dental work today, and strict orders not to chew, some kind of soup seemed in order. 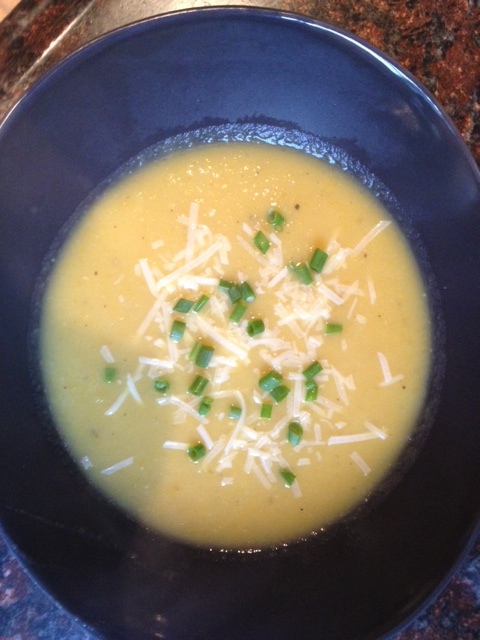 Not to mention it was an ugly rainy day…perfect for a yummy soup. I had gone to a great little cafe with one of my managers a couple of weeks ago, and we’d had a delicious yellow and orange pepper soup – I was dying to try to recreate it, and this was a good opportunity! This was a mish-mash of a few recipes, but what I liked about the base (from Epicurious) was that it didn’t use cream or milk – the thickness comes from a couple of potatoes. I used chicken stock in this because that’s what I had, but I think it would be better with vegetable stock and would of course be an easy vegetarian option that way. 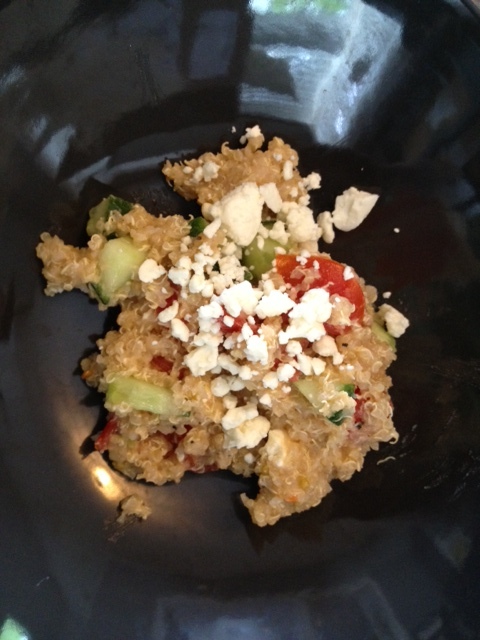 It was delicious and healthy…definitely going in the regular rotation! First dinner in our new house! And add to that the fact that I am a first-time homeowner and this is all pretty exciting. 🙂 Coming from a small (understatement) kitchen in our rental, it was pretty awesome to be back in a large, relatively modern kitchen again. After weeks of eating out with our kitchen packed, it was also excellent to have homemade food again. This was a recipe I saw in Cooking Light and modified a bit. The original called for pickled pepperocini, but I couldn’t find any. Instead, I used roasted yellow peppers and olives to get some brine/tang. 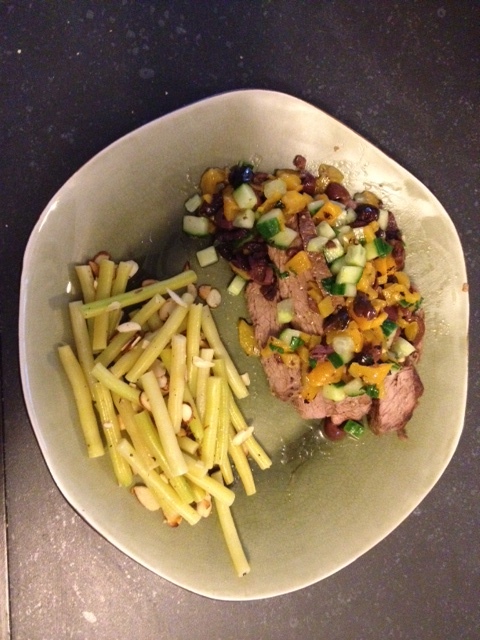 We really enjoyed this – I served it with yellow wax beans tossed with some toasted almonds.